Although there are many perspectives on real estate market prospects in the last months of the year, most experts believe that the mid-range segment will continue to thrive on the basis of the unqualified housing demand of people in major cities. According to HoREA’s latest report on the real estate market in the first months of 2018, the whole city. Ho Chi Minh City has 9,174 apartments are marketed by investors. Of which, the segment of luxury apartments accounted for 41.8% of the market, up by 31.3% compared to the same period of 2017; The proportion of mid-end apartments occupies 37.7% of the market; Low-end segment occupies only 20.5%. This data shows that the market is developing unreasonably between demand and supply. Investors are focusing on high-end segment, while housing demand comes from middle income customers. The supply of apartments is less than VND2 billion but the quality, comfort and safety of customers’ demand are quite scarce. According to Mr. Su Ngoc Khuong, Director of Savills Vietnam, the demand for housing in the city today is real. Presently TP. There are about 10 million people living in HCMC with 2-3 million people living and working in the province. Therefore, they need stable and long-term housing in the city. Stephen Wyat, general director of JLL Vietnam, said that medium and mid-priced housing will continue to be the key market segment in the coming time due to good supply in both segments with many improvements. construction services, utilities. Living comfort and safety in apartment projects are also being highlighted by young families, coupled with an increase in income in recent years that will lead to an increase in demand for apartments. In fact, the segment of mid-range apartments with moderate price advantage is quite satisfactory needs of customers. However, after the recent incident, home buyers tend to be more cautious. They set more stringent requirements for investors to solve the problem of affordable housing but still ensure comfortable and safe living space. Therefore, only the real estate products invested by reputable investors and development, quality is confirmed, progress guaranteed as new commitments can fall into the “range” of customers. 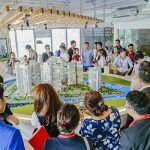 For example, Him Lam Phu An (District 9) of Him Lam Land, a project designed as a luxury apartment for young people, is invested and carefully meticulously to each period. In addition to solving financial problems, the owner must commit to quality and progress to meet the requirements of a more rigorous customer. Him Lam Phu An is a well-planned, modern, comfortable and secure project with high standard facilities. In design, the point that Him Lam Phu An most different is the kitchen is designed separate from the living room so that cooking does not affect the general living. “My husband and I love the design of the apartment, whether it is high-rise buildings but rooms are also very airy. He estimates that this is a project that meets the purpose of his family and perhaps many other young families. 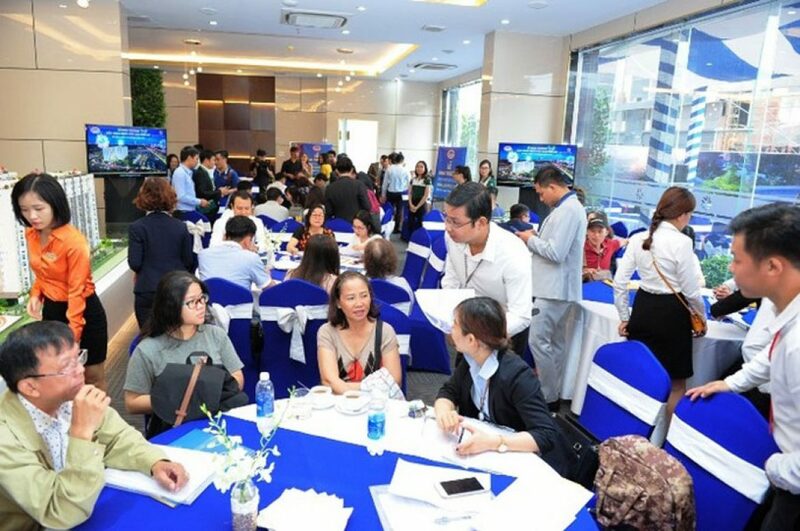 In addition, the prestige of the owner and the policy of flexible loans, many methods of payment in accordance with the ability of each customer has really convinced his wife, “said Le Quang Duc – customers bought apartments Block B Him Lam Phu An shared. Him Lam Phu An is 300m far from Hanoi Railway Station, just 5 -10 minutes walk from Ben Thanh Metro – Suoi Tien Metro Station. From the project, customers easily move to the city center: District 1, 2, 3, Binh Thanh and surrounding areas. With the price from VND1.8 billion / 2-bedroom apartment, customers ordering apartments will be eligible for bank loans up to 85% with the opportunity to receive a package of up to VND 60 million. 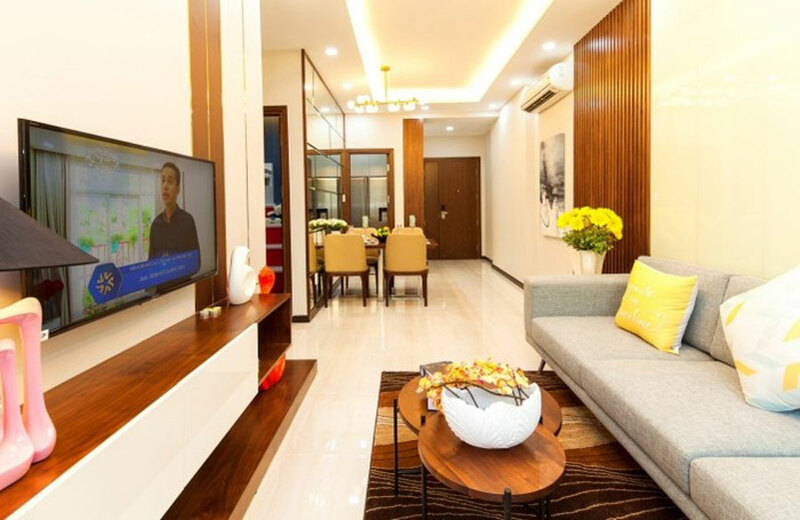 You are reading the article Mid-range apartments continue to be at the heart of the last months of 2018 in the Real Estate category at https://realestatevietnam.com.vn/.Any information sharing, feedback please email to info@realestatevietnam.com.vn, Hotline 0909890897 (24/7).